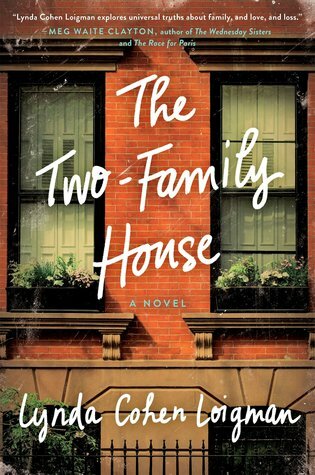 Today I'm featuring The Two-Family House by Lynda Cohen Loigman, which I borrowed from the library. She walked down the stairs of the old two-family house in the dark, careful not to slip. The steps were steep and uneven, hidden almost entirely beneath the snow. It had been falling rapidly for hours and there had been too much excitement going on inside the house for anyone to think about shoveling steps for a departing midwife. Perhaps if the fathers of the two babies born had been present, they would have thought to shovel. But the storm had prevented their return, and neither had been home. This book was selected by one of my book clubs. Most of the members of this particular group grew up in two-family homes in Brooklyn. We are all expecting that this book will be a somewhat nostalgic read.